Beautiful Multi Ring Bracelet with Engraved Heart. 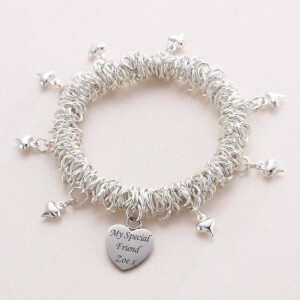 A lovely bracelet made from high quality silver plated parts with a tarnish free engravable heart charm. The bracelet includes the lovely little puffed hearts shown and the larger heart can be engraved with your own special message.